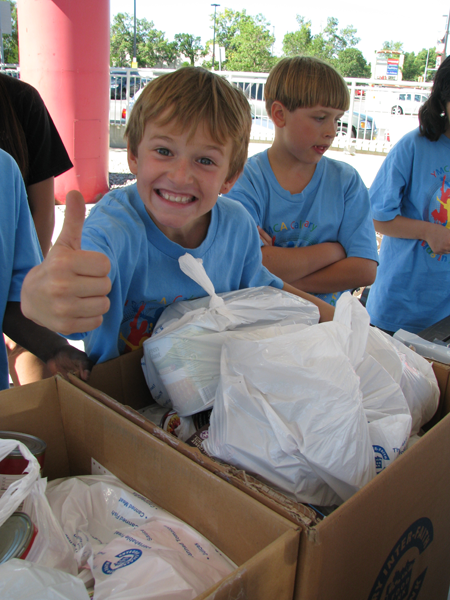 This summer marks the 18th Annual YMCA Kids in Motion and Day camps Food Drive. During the week of August 13-17, campers will have the opportunity to explore philanthropy and learn the value of getting involved in the community during our Calgary Food Bank drive. 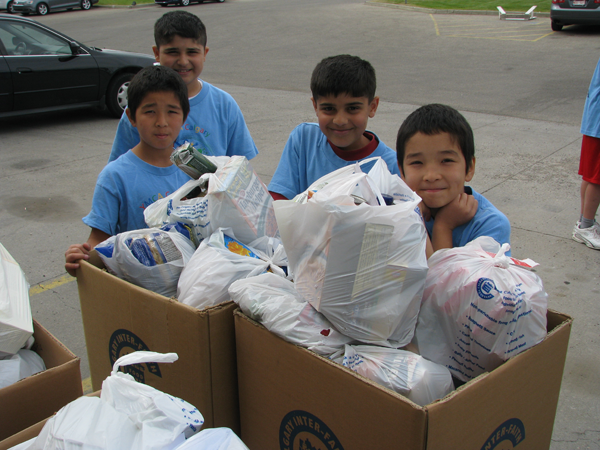 Campers will visit local communities to deliver flyers and collect donations for the Calgary Inter Faith Food Bank. Over the past 18 years YMCA Calgary has raised over 200,000 lbs of food. Last year campers supported local communities by collecting 10,620lbs! If you’d like your camper to participate in our Calgary Food Bank drive, register them for an August 13-17 camp. This applies to all Camp YMCA camps which take place at all seven health and recreation locations. Each year, YMCA kids and youth collects thousands of pounds of food donations in multiple Calgary communities for the Calgary Food Bank. This summer marks the 16th Annual YMCA Calgary Kids in Motion and Day Camps Food Drive. This year’s food drive will take place the week of August 8-12, 2016.